The Greek Thalassaemia Federation was founded in 1991 and it is the secondary organization of Thalassaemia and Sickle Cell patients. It has under its umbrella the 25 local thalassaemia associations of our country and represents 5.000 patients and their families. It is a member of the Thalassaemia International Federation (TIF) and the National Confederation of People with Disabilities (E.S.A.Me.A.). The Greek Thalassaemia Federation is a nonprofit, non-governmental organization and its main purpose is the improvement of the provided healthcare to patients, the increase of job opportunities and also their social integration, setting aside any barriers. Also between its main goals is achieving solidarity and coordination of actions between the different associations – members across the country in order to fight the best way possible against Thalassaemia and Sickle Cell Anaemia. 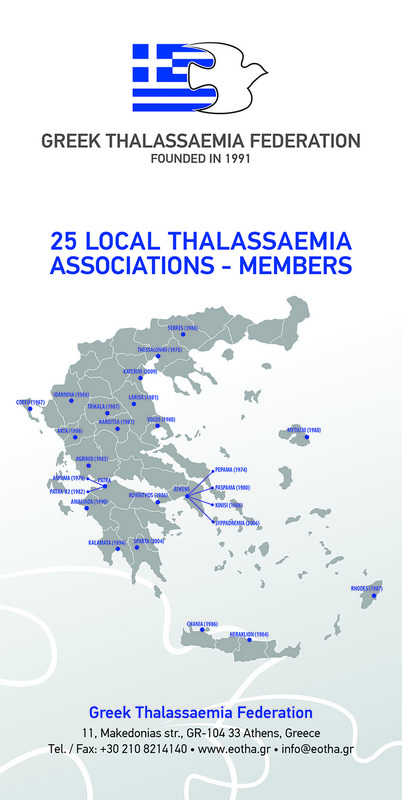 The Greek Thalassaemia Federation aims at promoting specialized treatment for thalassaemics based on every patient’s individual needs, according to international standards and protocols, as well as the empowerment and coordination of all the Thalassaemia and Sickle Cell Anaemia associations in the country. Making sure that every patient gets the optimal treatment from doctors and specialized nurses 24 hours a day, as well as the coordination of regional thalassaemia units is also amongst its main goals. 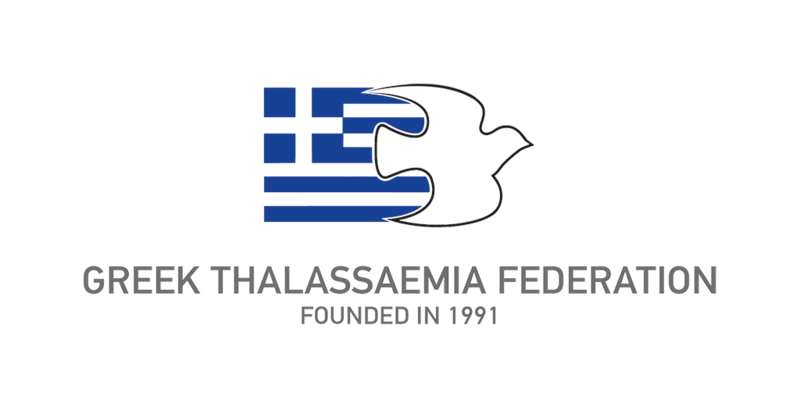 The Greek Thalassaemia Federation through constant battles, challenges everyday problems such as lack of blood, bureaucracy, social integration, job prospects, research, medical attention, social information and awareness. Organizes medical conferences regarding the updating of Thalassaemia patients all over Greece about the newest outcomes on Thalassaemia treatments. Organizes educational seminars for all its members and participates in local, national and international conferences about Thalassaemia. 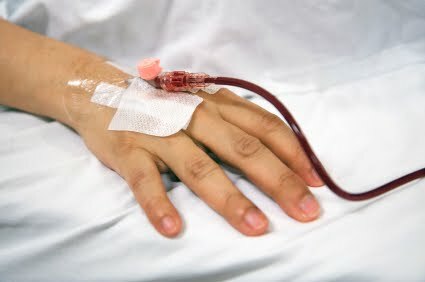 Promotes the idea of voluntary blood donation through the publication and circulation of informative material, television and radio messages and the publication of Press Releases about lack of blood. Participates in television and radio shows aiming at the briefing and sensitization of the public opinion regarding the problems of Thalassaemia patients, the prevention of the disease etc. Promotes patients’ rights and puts pressure on the Government to take up measures in order to facilitate the Greek thalassemics’ integration in all aspects of social life. The Greek Thalassaemia Federation has contributed significantly to the image transformation of Thalassaemia compared to the past. The results allow persons carrying this condition to have a normal life, study, work and have their own families with children and grandchildren.